A chic hair accessory is such an important part of the perfect bridal hairstyle. At Suzanne Morel Face and Body Care, we think every Cabo wedding hairstyle looks even more amazing with headpieces! Here you have a couple of Trendy Geometric Headpieces for your Wedding in los Cabo , there are so different and very easy to wear! Diadem: A different idea to wear it and look so fresh, with a Chignon or an Updo, excellent for your beach wedding in Cabo! 2. 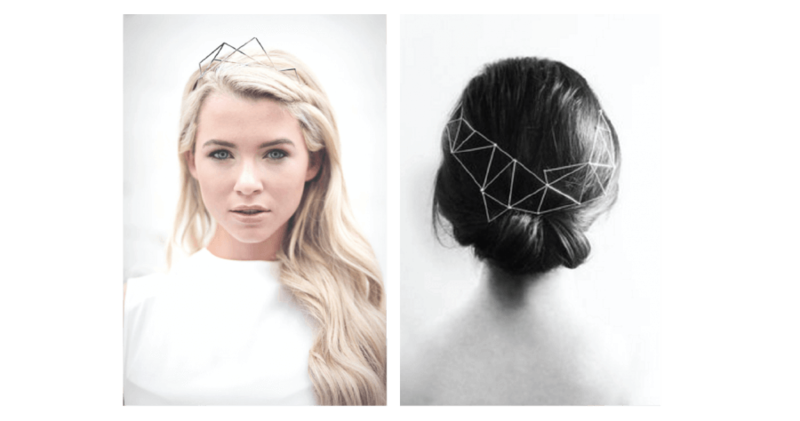 Crowns: Another great trendy idea to wear a Geometric Crown like a Queen. You could use it with waves or a Beachy Chignon hairstyle. You can rest assured our team of expert stylists has worked with hair of every length and texture you can imagine, so there’s no need to worry when you book with Suzanne Morel Face and Body Care! Call us today for your free phone consultation at (619) 819-9180. This entry was posted in Blog and tagged Bridal Headpieces, Cabo wedding hairstyle, Geometric Bridal Headpieces, Geometric Crowns, Geometric Tiaras, How to wear, Ispiration, Wedding Hairstyles, Weddings in Cabo. OUR BEST RECOMMENDATION: OUR CLIENTS WORDS!